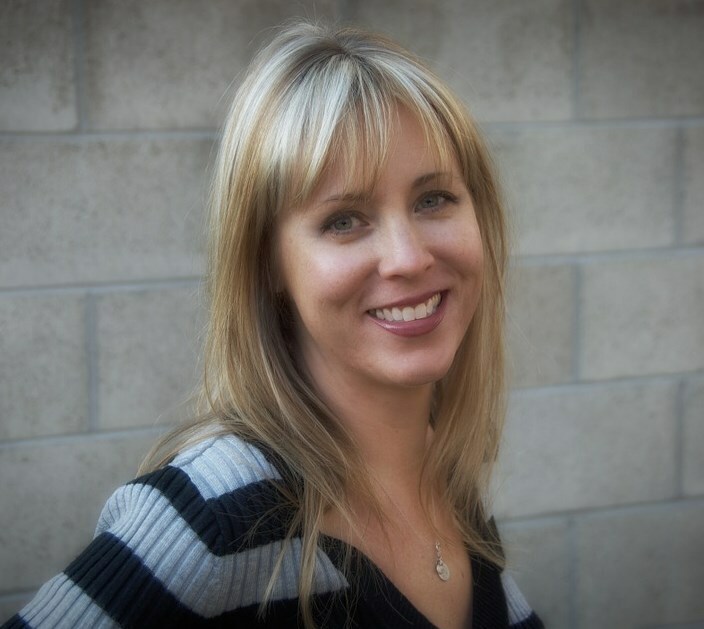 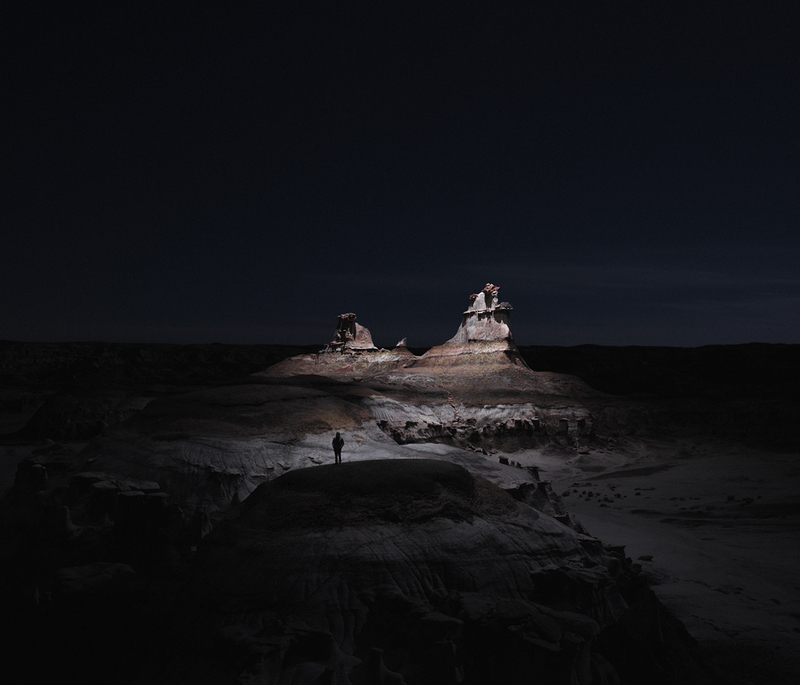 What do we do when our pictures look too dark? 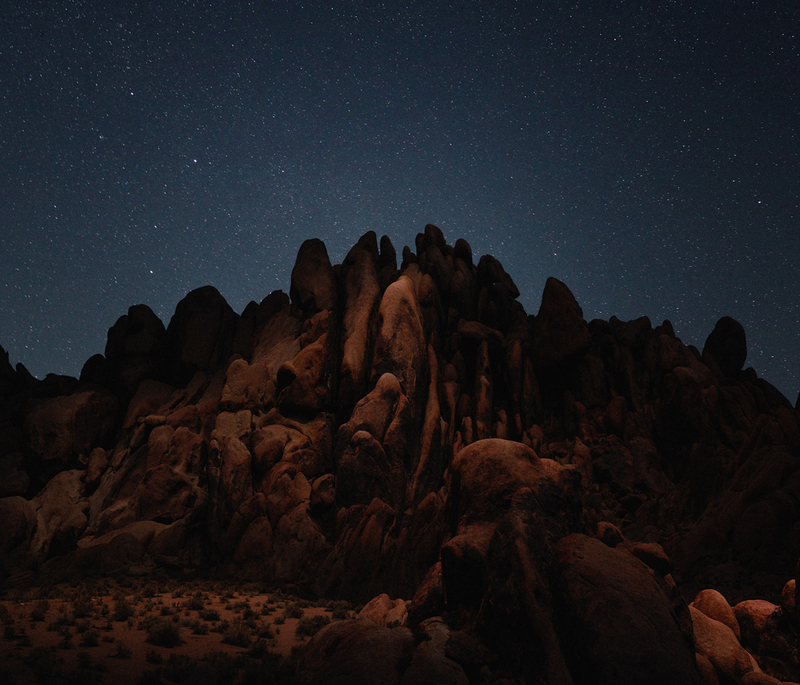 We slide the brightness setting on our phone camera way up. 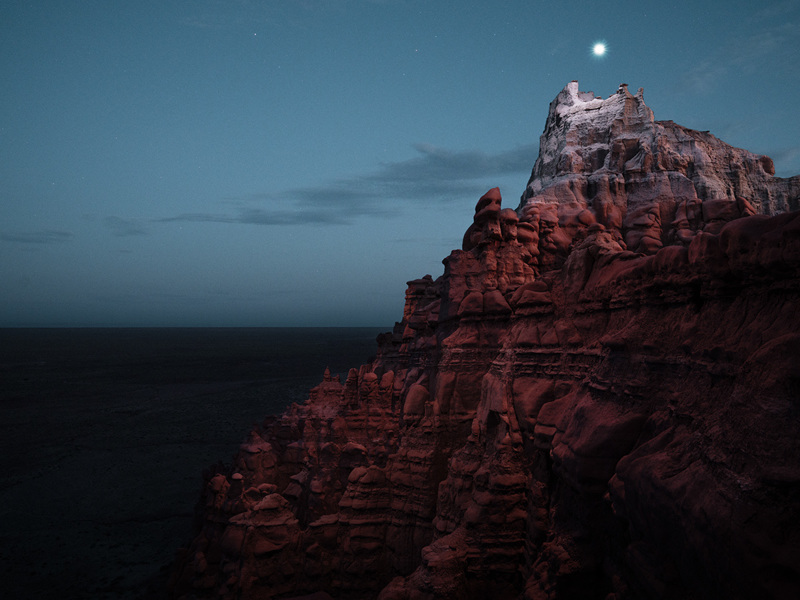 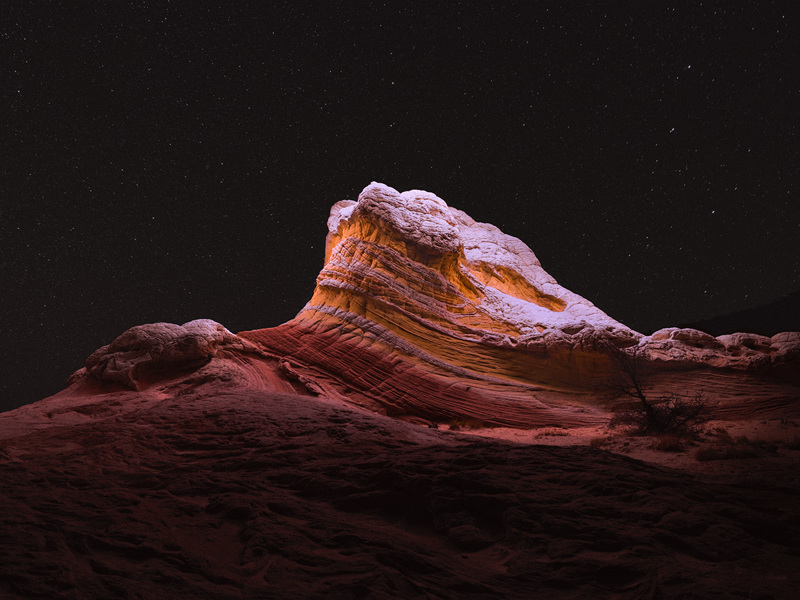 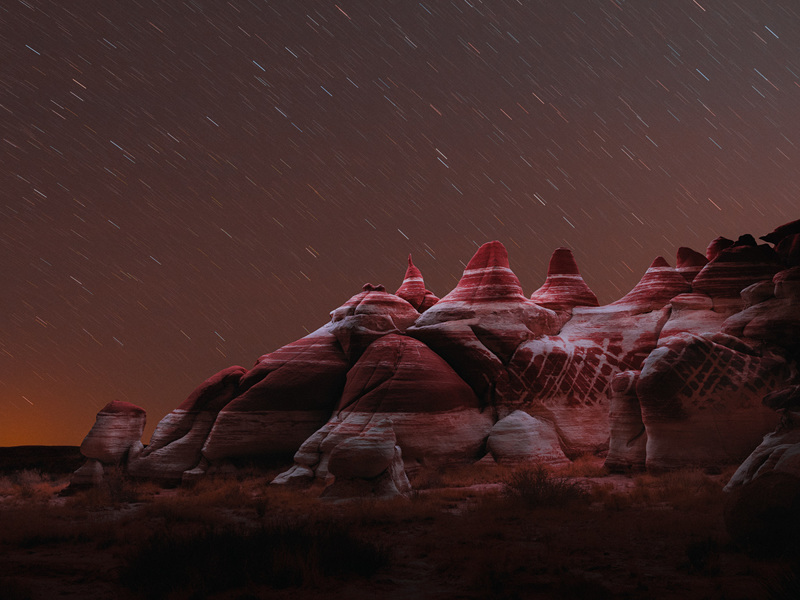 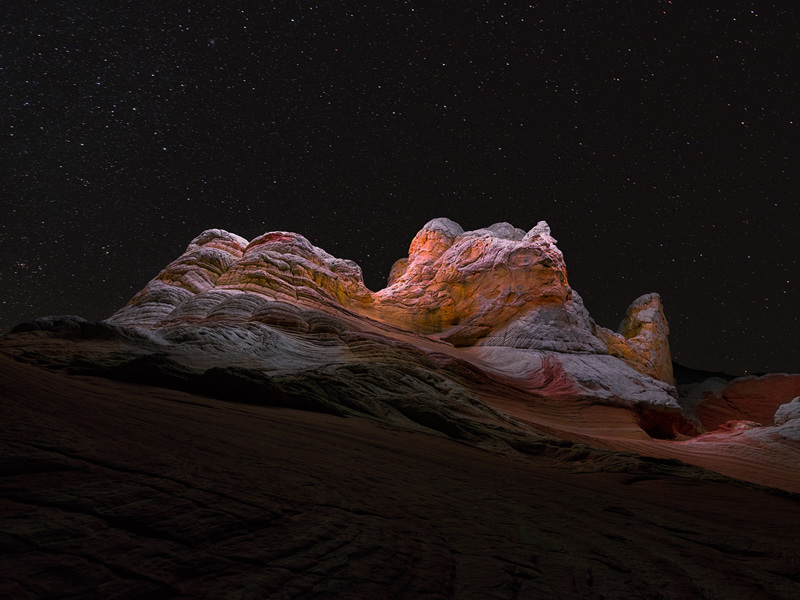 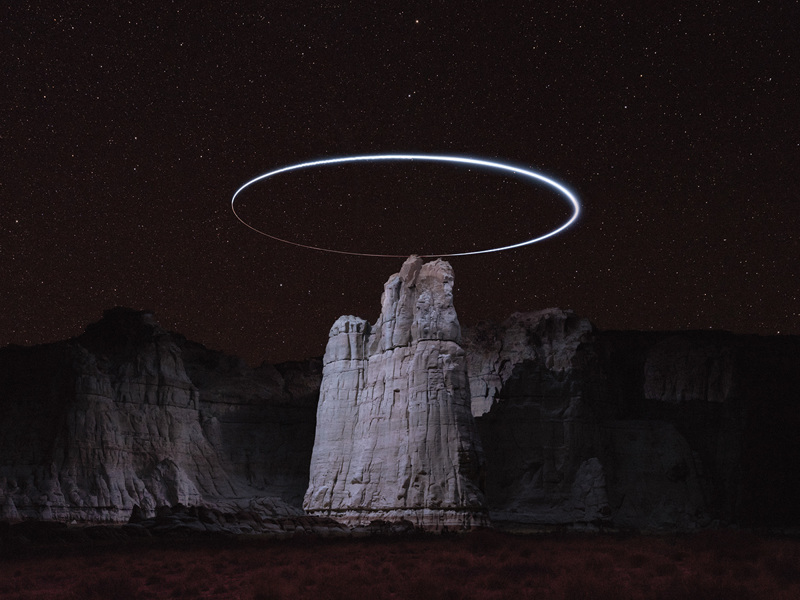 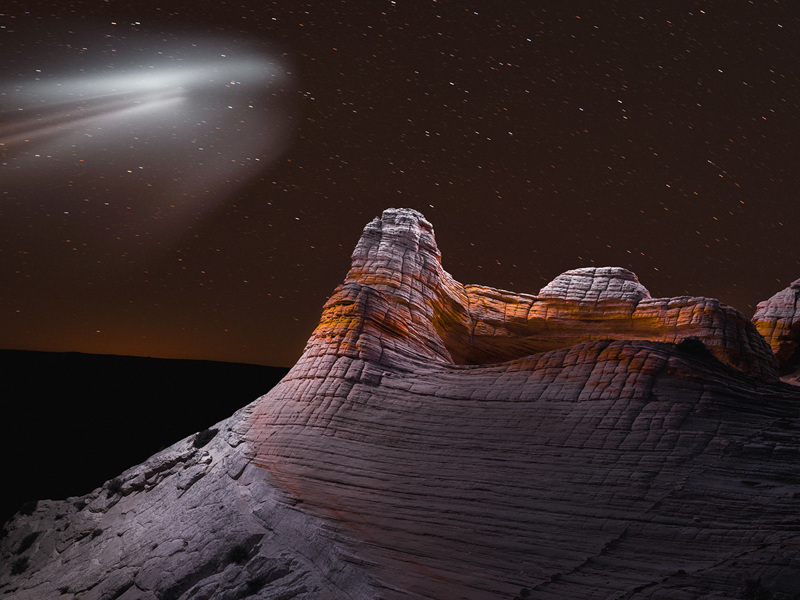 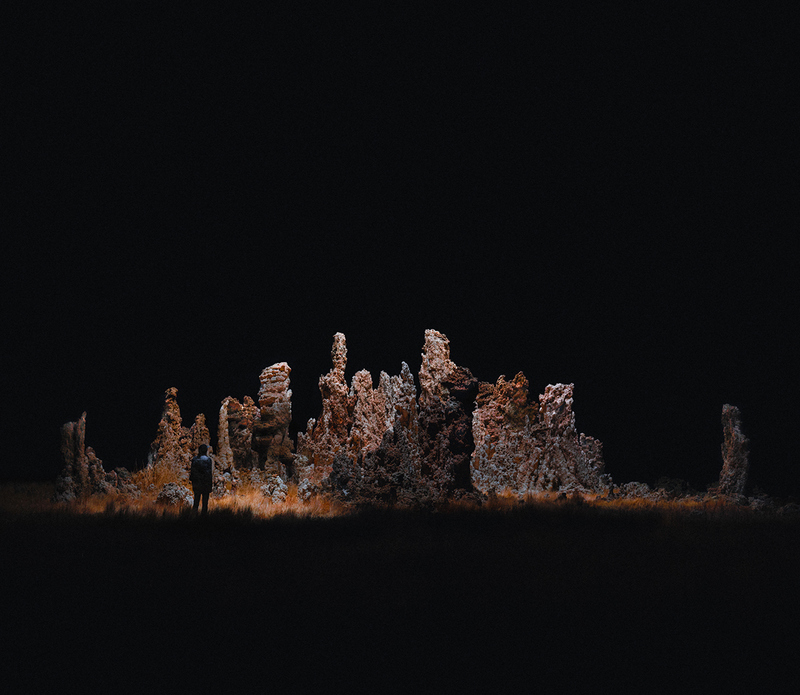 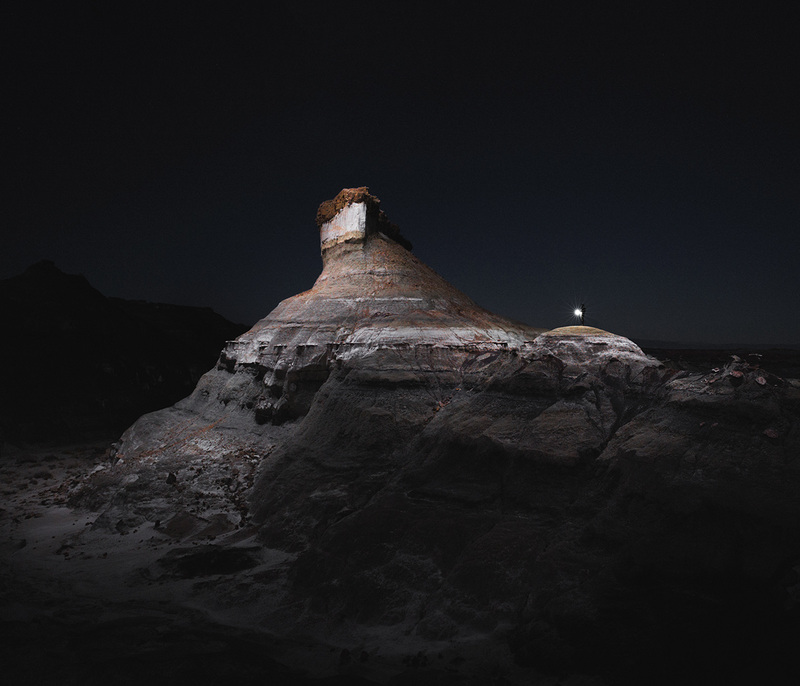 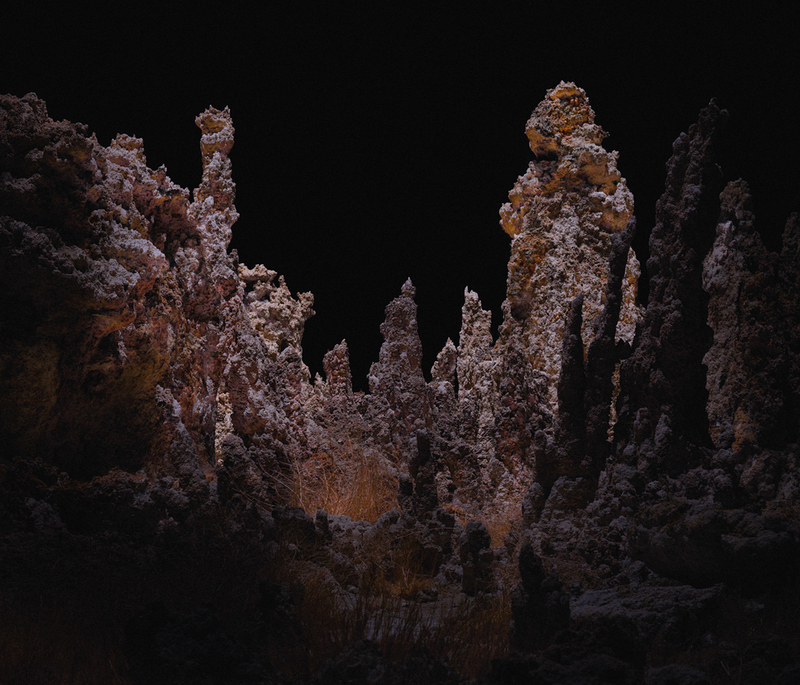 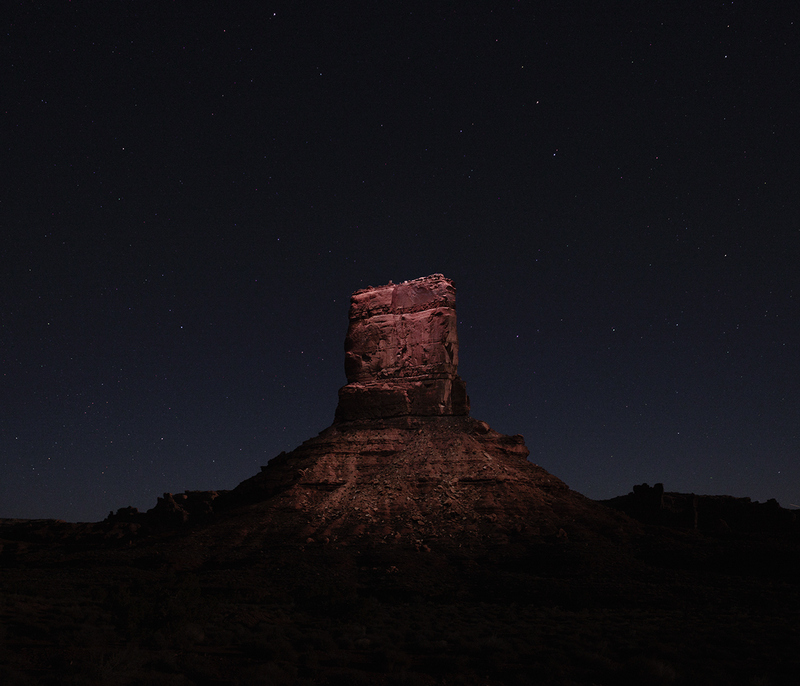 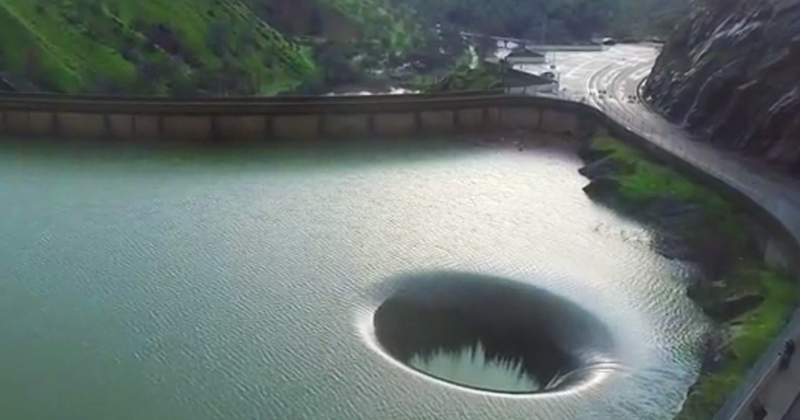 But photographer Reuben Wu has some more ambitious ideas. 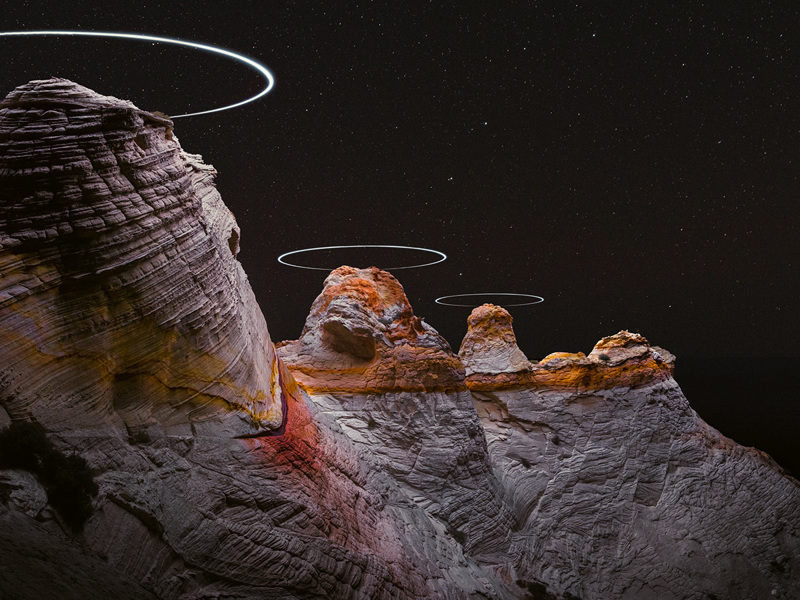 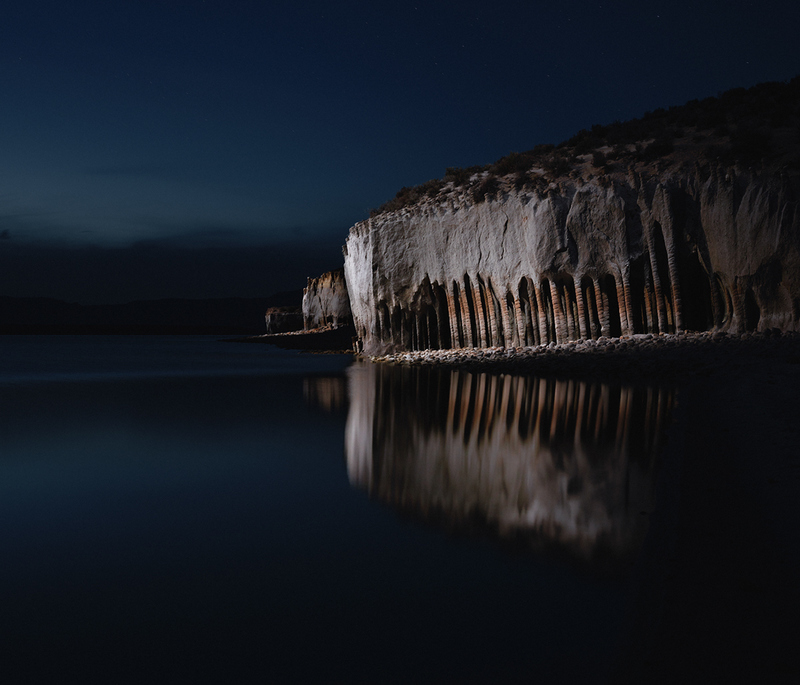 In his Lux Noctis series, he uses long exposure photography to take pictures of landscapes lit by circling drones. 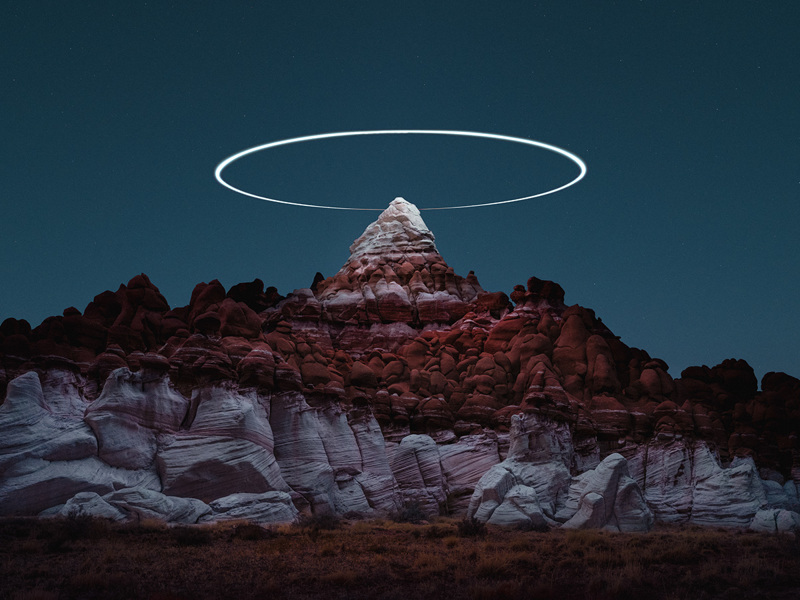 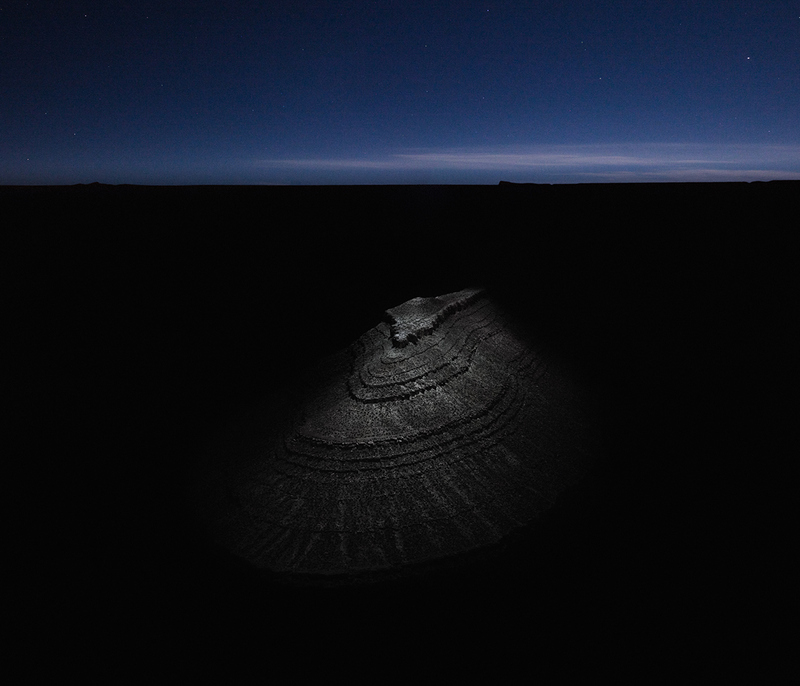 “I see it as a kind of ‘zero trace’ version of land art where the environment remains untouched by the artist, and at the same time is presented in a sublime way which speaks to 19th century Romantic painting and science and fictional imagery,” Wu said online.